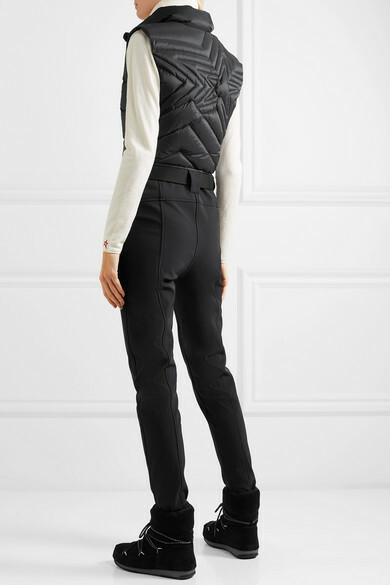 Perfect Moment's 'Super Star' suit proves it is possible to look stylish and stay warm on the slopes. 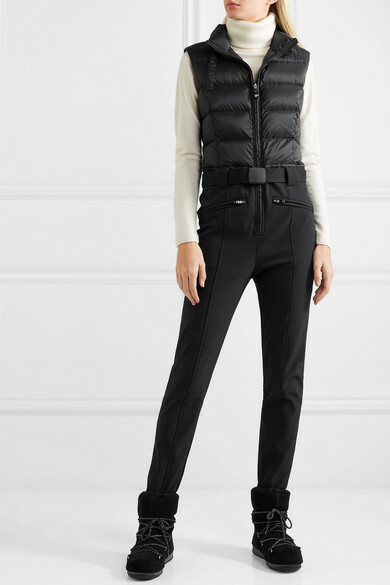 Made from water-repellent and durable black shell, it has a quilted bodice padded with insulating goose down and straight-leg pants lined in soft fleece. 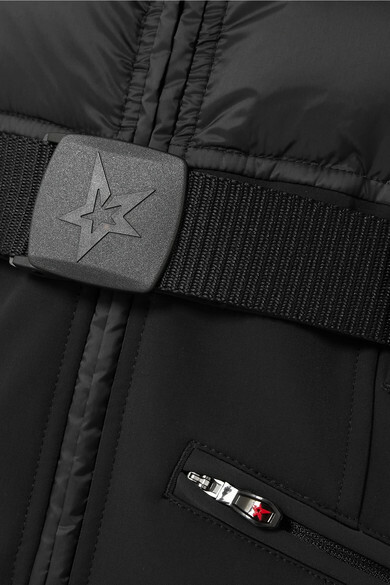 Use the zipped pockets at the front to keep your ski pass safe. Shown here with: Moon Boot Boots, Perfect Moment Sweater.